Experience the artworks by some of Far North Queensland’s outstanding senior visual arts students. Energy Exhibition Cell Art Space Awards is the region’s showcase of some of the best young emerging artistic talent. Through their artworks, the exhibiting art students demonstrate a high degree of sophistication in concepts, diversity of art forms and media. 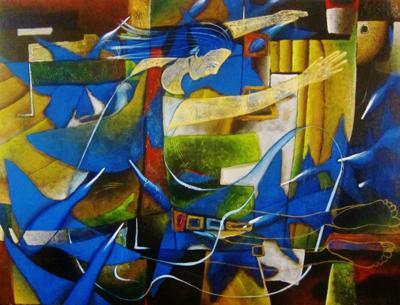 Works exhibited as part of the Energy Exhibition Cell Art Space Awards can include drawing, painting, photography, innovative installation and multimedia works. Energy Exhibition Cell Art Space Awards provides students with another opportunity to present their works to the community in a professional exhibition context and is one of the region’s most popular art exhibitions. Energy Exhibition Cell Art Space Awards are supported annually by TANKS ART CENTRE and ERGON ENERGY. An electronic arts exhibition of cutting edge Australian artists curated by Electrofringe and the School of Creative Arts, James Cook University. Electrofringe is coming to Townsville to stage a workshop, artist talks and exhibition of new Australian artists at the forefront of electronic arts. Artists include Alexandra Gillespie (ACT), Samuel Bruce (NSW), Danny Ford (QLD), Robert Crispe (QLD), Adam Brown (QLD), and Nick Wishart (NSW). The School of Creative Arts at James Cook University, Townsville, will be hosting the exhibition and artists talk at their experimental gallery, the eMerge Media Space. 5 days of fabulous tuition from 10 Australian and Internationally renowned Textile/Fibre artists! To be held at the Cathedral School, Townsville... 17 - 24 September 2011. Oh to be in Townsville again! A giant stove top is one of the feature works in an exhibition, domestic8, from local artist Louisa Ennis-Thomas. 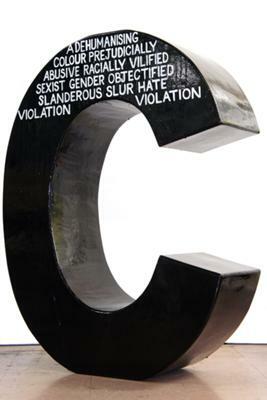 This series of sculptural works launches the Cairns Regional Council's 2011 exhibition programme at c1907 Contemporary Artspace. Domestic8 celebrates the value of domestic labour within the community. 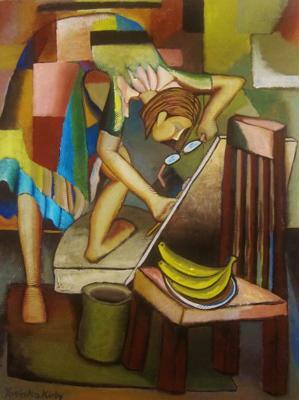 Household tasks such as cooking, cleaning and motherhood are reflected upon in this unique visual arts display. The official opening is Friday 14th January at 6.30pm. It will commence with an introduction by sculptor and arts educator, Vide Smith. All welcome! Regular gallery opening times: Tues - Sat 10am -4pm. In life you see exteriors. What you see on the surface is directly influenced by what’s underneath. This is representative of everything in life as well as is art – a rose bloom is the result of how well it has been nurtured and treated. This exhibition is an attempt to connect the two. It attempts to capture the influences that shaped and created the exterior. 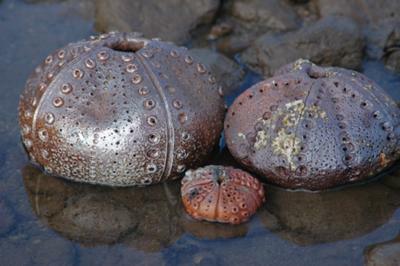 It sends the message that beneath the surface is a lifetime journey –a journey unique to each of us; and something that is often hidden or camouflaged. In her work, Helen endeavours to create an emotional connection rather than a contemporary clear image, as no person’s journey is without twists, emotions and upset. The works capture inner feelings and emotions via the use of heightened colour and deliberate play with content. The work is conceptual. 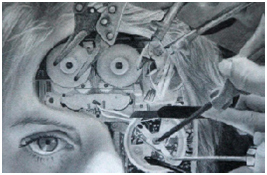 The viewer is required to analyse the image rather than the image instantly reveal itself. 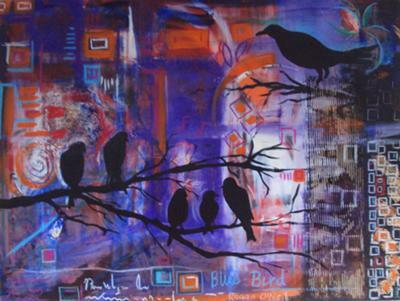 Helen completed a Diploma of Visual Arts through Tropical North Queensland Institute of TAFE in 2007 and subsequently completed a Bachelor of Creative Industries at James Cook University. 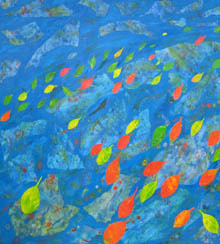 This is her first solo exhibition, having previously participated in several group exhibitions. Please join us at Cell Art Space, 109 Lake St at 5.30pm sharp to officially launch Down Under. From 6pm - 8.30pm meet the artist and enjoy food and drinks at Twelve Bar Café, Cnr Lake & Shields St.
Down Under is supported by the Visual Arts and Craft Strategy, an initiative of the Australian, State and Territory Governments. Epicurious is an exhibition that celebrates Tropical North Queensland through its food culture. This exhibition responds to changes in habits, customs and fashions surrounding the consumption of food. It also reinforces the tradition of artist as witness to the social traditions of a time and place, where food acts as the lubricant for social interaction. These Cairns-based artists, both individually and collaboratively, reflect on the unique culinary produce and the lifestyle of the tropics in their printed imagery. Cell Art Space, Cairns City Centre, 109 Lake Street. 24hr view only gallery. Natalie’s abstract artwork commences with a base colour, followed by the layering of other colours and building slowly until an idea develops. The image can change many times during the construction of the painting. 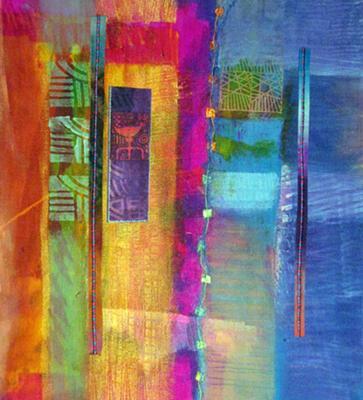 Natalie’s interest in painting started in 1989 when she started painting large abstract designs onto silk. Girringun Aboriginal Art Centre in Cardwell represents Indigenous artists from the North Queensland Aboriginal people of the Nywaigi, Warrgamay, Gugu Badhun, Warungnu, Girramay, Gulnay, Bandjin, Djiru and Jirrbal tribal groups. 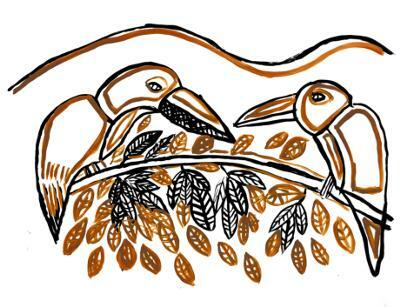 Working in collaboration with Djumbunji Press KickArts Fine Art Printmaking, Girringun Art Centre Artists have developed a body of screenprints in line with their recent explorations of the local Kingfisher legend, Gijalordi. All works will be available for sale at a commission-free rate in an effort to assist Girrungun Art Centre in their post-Cyclone Yasi recovery. 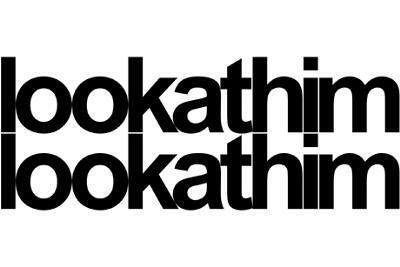 Knock Knock Contemporary Artists’ Initiative invites local artists to get together to share ideas and tips gathered from the recent WAH Symposium (a National Association for the Visual Arts event). 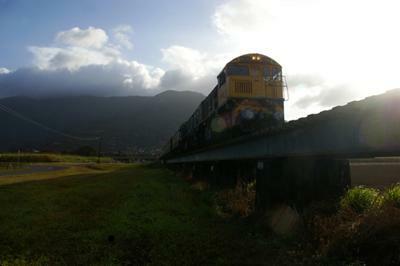 This forum opens a discussion about the development of artist run projects in the Cairns region. If you have ever thought about opening an artist run space or working on a collaborative project with fellow creatives, participate in the forum with us or simply come along to discover more about artist run initiatives. 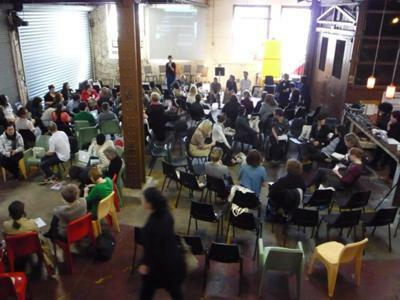 With more than 85 artist groups from around Australia, the WAH Symposium in Sydney this year, offered a packed programme of round-table discussions on ways artists can work together to create opportunities and engage audiences within their local communities. Discussion topics included: business tools and advice for running ARIs, innovative funding models, interdisciplinary creative projects, regional arts and much more. The Forum is to be held at Kickarts Contemporary, 96 Abbott Street, Cairns on 26th November 2011 at 10.30am. This project has been made possible by the Regional Quick Response Grant - an Australlian Government initiative through the Regional Arts Fund, supporting the arts in regional and remote/isolated Australia. 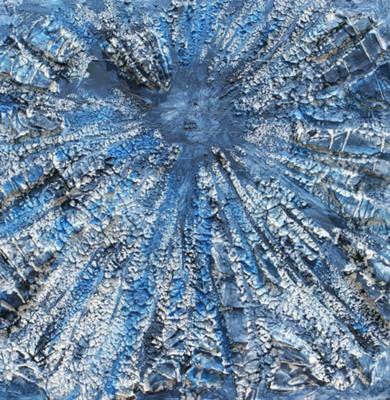 Port Douglas Artists at Meridien Marina are pleased to welcome glass artist, Marie Simberg-Hoglund to their studio/gallery group. The artists have been operating at the marina for six or seven months, as part of the Cairns Regional Council's initiative in partnership with the Meridien Marina's owners. Jill, Marie, Michael and Terry have invited everyone who is interested in viewing their latest work to join them on June 30 from 5pm to 6.30pm when drinks and 'nibbles' will be provided. It is likely that this will become a regular event for the last Thursday of each month and that other Beautiful Art Spaces studios will join in the fun. So please drop in for a chat - you never know who else will be there! If you do come it would be interesting to hear your opinion (a review?) of what the artists have been doing and whether you think the regular get-togethers are a good idea. Do you, for instance have a favourite art piece? Might it be one of Terry's paintings, a special necklet by Michael, a beautiful glass bowl by Marie or a silk length painted by Jill? Perhaps you prefer the inexpensive high quality art prints that Terry and Jill have on offer or perhaps a crocodile egg that Michael has decorated? Your comments will be very welcome and can be uploaded on this page. opening of Art Sense by 2011 Cell Art Space Co-Directors + folk, pop tunes by singer songwriter Ray-Lee Russell. a group of artsworkers hold an interactive panel session discussing artist run initiatives + view Art Artist Environment exhibition by School of Creative Arts, JCU Students. pop and rock is what you are likely to hear from young and emerging band Sick Of The Silence. Sony Sando - Vocals/Lead Guitar, Casey Shipp - Back Vocals/Bass and Brad Stephenson - Drums. the crew serve up tapas. 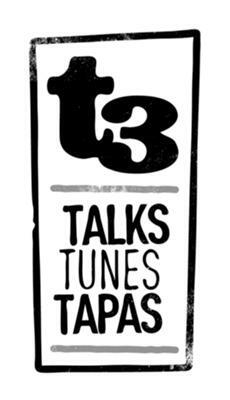 T3 TALKS-TUNES-TAPAS is supported by Cairns Regional Council. Exotic Queensland : the Nature, the Wonder. Currently on display at the Cairns Regional Gallery is a beautiful exhibition of paintings by Tania Heben, who lives in Port Douglas and Sydney artist, Anne Marie Graham. Both oil painters, the friends have long discussed the possibility of exhibiting together. The idea developed further after they spent repeated visits at Cairns Botanical Gardens, sketching and marvelling at the variety and intriguing shapes and colours of the tropical plants growing there. Although working from separate studios, thousands of kilometres apart, they kept in touch with each other and with curator, Justin Bishop, as the works took shape. 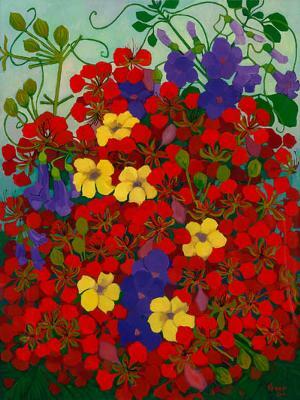 Tania's use of colour is exuberant and dramatic, relying as it does on flat, tonal color to describe forms. New subjects are bunches of brilliant red poinciana flowers, golden penda and eucharist lilies developed into eye-catching still lifes with nicely positioned chinese vases and draperies. But this exhibition is also a retrospective of some of Tania's older paintings, displayed separately, to great effect. 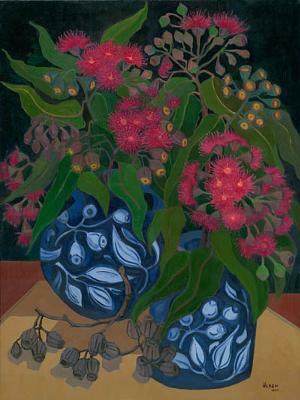 Her old 'Queenslanders', overflowing with purple blossoms from jackaranda trees and children picking mangoes, framed by distant blue mountains, are well loved subjects. 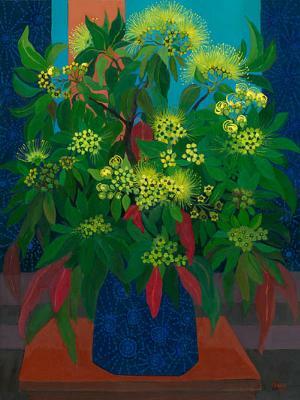 Anne Marie's work is interesting, particularly because of her use of subdued colour to describe strange plants, which dwell amongst jungle growth in obscure, dim corners of the gardens, reached only by softly filtered light. I was interested to read that in order to establish tonal values she uses black in her paintings, something contradictory to my training. But it has worked wonderfully well. The exhibition was opened on Friday September 23 by Diane Cilento, famous actor and owner of Karnak Theatre in the Rainforest. Diane's address to a large crowd of art lovers discussed coincidences of birth and travel that had these two artists travelling from war-torn Europe to a new and exciting land to pursue artistic careers, far removed from their roots. Both artists and the gallery are to be congratulated on an exhibition that is harmonious and beautiful, inviting thoughtful contemplation. It continues until November 27. 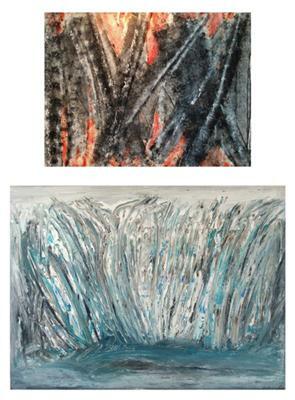 Images above are of some of Tania's paintings that were developed especially for this exhibition. 5:30 - 6pm at Cell Art Space view Effervescence an installation by Rebecca Claire Edwards and experimental sounds by Thomas Will Collis. Bring your bean bag. 6:15 - 6:45pm at C.1907 Contemporary Artspace Lou Davidson, Rebecca Claire Edwards, Tracy-Ann Rees Mortimer, Glen O'Malley and Carly Whouley, exhibiting artists hold an interactive panel session discussing photography in their pop up exhibition; Cairns Contemporary Photographers. 7 - 7:30pm at Twelve Bar Café adventure to horror to folk is what you are likely to hear from emerging indie horror band Archdale; Dean Whitby - Guitar/Vocals, Ella Edwards - Organ/Piano/Vocals, Jack Riddle - Guitar/Bass, Aiden King - Drums. 7 - 8:30pm at Twelve Bar Café the crew serve up tapas and drinks. 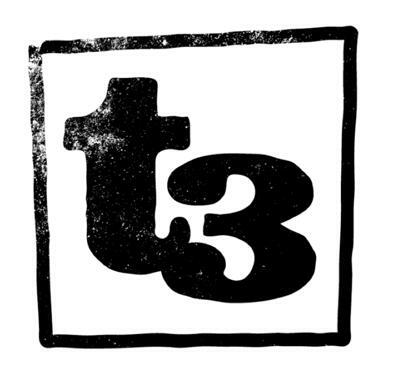 T3 is supported by Cairns Regional Council. The Beautiful Bras for Breast Cancer exhibition puts a creative spin on one of our much loved wardrobe essentials ~ the brassiere. Join us on Friday 30th September at 5:30pm for the Official Opening of the Beautiful Bras for Breast Cancer Exhibition at Festival Cairns HQ, 105 Lake Street. Contributing artists include: Hayley Gillespie; Caroline Mudge; Coral Wilkinson; Pip Miller; Betty Oliver; Louisa Ennis-Thomas; Velvet Eldred; Sharone Spannenburg; Kylie Berke; Amanda Designed; Janine Bucklar; Claire Heathcock; Heather McGiffin; Paloma Ramos and Elizabeth Barton. 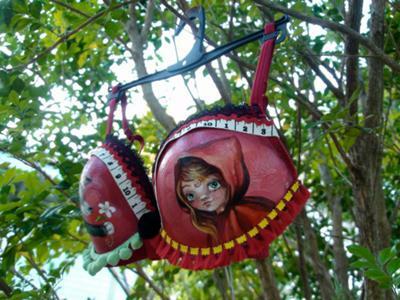 The bras will be displayed from Monday 26th September until Friday 21st October where they will then be auctioned off at the Pink Ribbon High Tea on Sunday 23rd October at the Shangri La Cairns. The Bras Opening will be followed by a movie screening 'Living Downstream' at the Centre of Contemporary Arts, 96 Abbott Street. Tickets $15 available at the door. Right to the point I'll say. What a uplifting effort. Right subject for the cause. Best venture I've ever seen, colorful also. 'Shuffling Cards on a Full Moon Night' is the title of Yoshiko Kirby's new exhibition, opening at Tablelands Regional Gallery, March 4,2011 at 6pm, and Yoshiko will be present to answer your questions. Yoshiko presents a huge body of work - twenty seven new,large paintings-displayed professionally in the Gallery at Atherton. Yoshiko is known as a figurative artist for whom personal symbolism, translated into a conceptual approach, is integral to her work. The work continues her interest in self-discovery, largely autobiographical and anecdotal. But it is more than that as her emotional searches tap into the universal consciousness of which we are all part. So most viewers will relate Yoshiko's explorations - and discoveries. So, come into her world! 'Shuffling Cards on a Full Moon Night' continues until 3rd April. 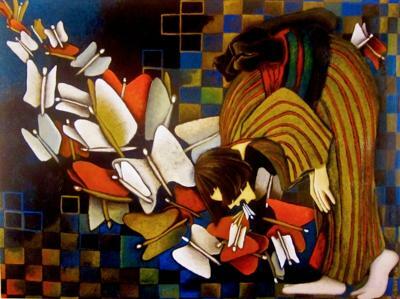 Yoshiko's works are so poetic,inspiring and dynamic.I only wish I could be at the opening but alas in Brisbane. The contemporary art scene fires up as an art show with a difference opens in the city centre. SUB-150 – The Affordable Art Show offers locals and tourists alike a chance to explore Cairns’ vibrant arts industry. More than 60 tiny works, which reflect the diverse talents of the local region, will be on display at c1907 Contemporary Artspace from Tuesday 27 September. Local artist group, Knock Knock Contemporary Artists’ Initiative is behind this exciting project, offering a gallery full of artworks at affordable prices. Every work will be for sale and priced at $150 or less. SUB-150 features 23 artists and is a show for all ages. Paintings, prints and sculptural works are just some of the offerings which will be on display until Saturday 15th October. The Regional Arts Development Fund is Queensland Government and Cairns Regional Council partnership to support local arts and culture. Love the attractive price - 150. So much of art work is priced beyond the average buyer, so they just look and leave empty handed. Great innovation, attractive price for many. 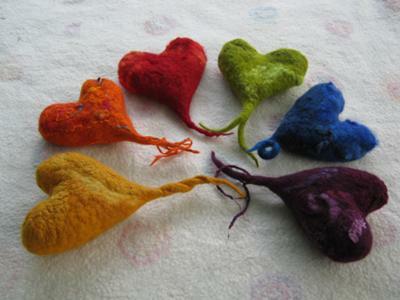 Sangit is a felt maker and artist and Heart Felt is a collection of wet-felted pictures, wall hangings and sculptures. The brilliant colours and rich textures of her work with merino wool and silk expresses the joy and intensity that is possible in day-to-day life once you connect with deeper levels of yourself, the levels where love and creativity reside. As well as artwork Sangit creates a lot of 'wearable art' like nuno-scarves, hats, vests, jackets and bags. OPENING NIGHT FRI 11 February 2011 5.30pm - 8.30pm – Free, All welcome. 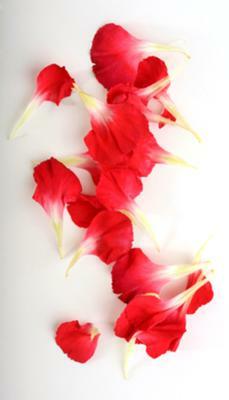 Please join us at Cell Art Space, 109 Lake St at 5.30pm sharp to officially launch Heart Felt. 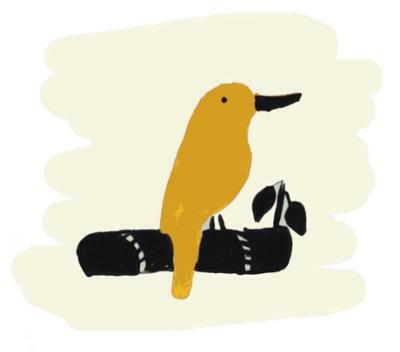 From 6pm - 8.30pm meet the artist and enjoy food and drinks at Twelve Bar Café, Cnr Lake & Shields St.
Heart Felt is supported by the Visual Arts and Craft Strategy, an initiative of the Australian, State and Territory Governments. 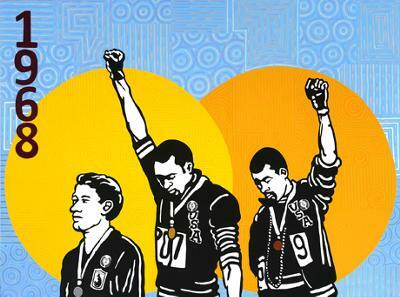 proppaNOW – "The Black See"
The Black See is an exhibition featuring new and controversial works from the proppaNOW Collective, addressing the Aboriginal experience of deeply embedded attitudes to race in sport. OPENING -- Saturday 20 August at 3pm with a panel discussion featuring the proppaNOW Collective to be held in The Space adjacent to the KickArts Galleries at the Centre of Contemporary Arts. Free entry, all welcome. The exhibition is in Gallery 1, KickArts Contemporary Arts, Centre of Contemporary Arts, 96 Abbott Street Cairns. The exhibition continues to 5 November 2011. Due to some strong content the exhibition carries a LANGUAGE WARNING. Parental supervision is advised. 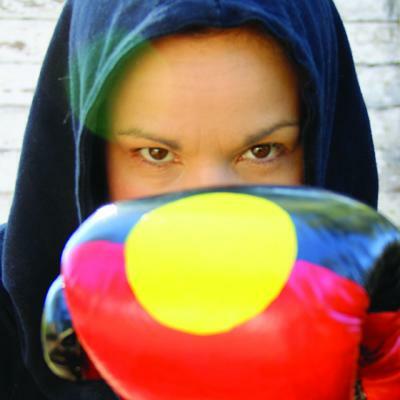 BACKGROUND -- proppaNOW is a collective of provocative and challenging Aboriginal artists and agitators who offer new perspectives on how society defines Aboriginal art. Pormpurraw is a remote Aboriginal community located on Western Cape York on the Gulf of Carpentaria. 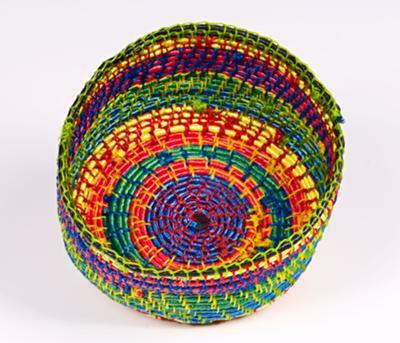 The exhibition includes paintings, prints, sculptures and fibre and ghost net weavings. 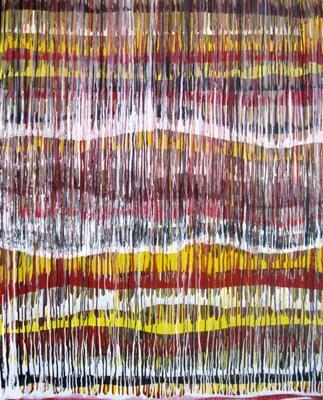 See fresh and vibrant work from this Cape York indigenous community. Tucked away in Mill Street, Mossman, opposite the library is Douglas Arts Base - known as DAB, the place where people of all ages and all walks of life come to create amazing artworks. The DAB Mid Year Art Exhibition showcases the work produced by DAB members over the last six months. 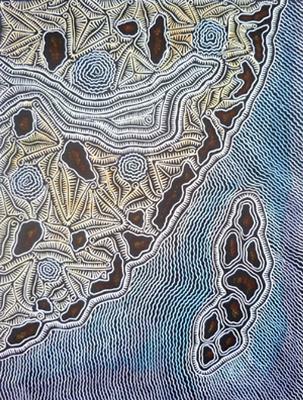 One of the outstanding paintings at this exhibition is by Gwen Beitzel, from Wonga Beach. Gwen started painting in 2005, and DAB offered her an opportunity to develop a new interest in life. With support from her tutor, Peter Culley, Gwen has never looked back. Mayor Val Schier will open the exhibition on Friday 24th June at 6.30 pm and everyone is welcome, with a gold coin donation. 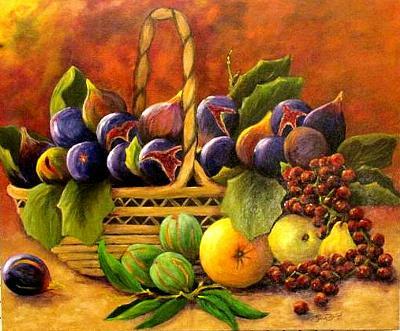 Many of the artworks are for sale, and there is the opportunity to purchase good quality artwork at reasonable prices. DAB has produced some fine artists who are now working as professional artists in their own right, holding their own exhibitions. Every DAB member is able to have at least one piece of artwork displayed at the exhibition – the only caveat is that it must have been produced between January and June 2011. For some DAB members, this will be the first time they have shown their work, and it is quite a thrill to see an artist exhibiting their first painting or making their first art sale. At these times, the local DAB artists will be staffing the exhibition, and you will be able to meet some of the artists, and purchase artwork during this week. It is gratifying to see developing artists and their works and efforts to grace the world's art lovers. They each have their own talents and so many eye appealing submissions. And their instructors beam with admiration with each success. It is indeed wonderful to see how Douglas Arts Base has developed and strengthened over the last (is it twelve?) years of operation, from the spark of an idea to a steady cultural influence in the community. Backed financially by Douglas Shire Council then Cairns Regional Council, its activities have been centred on spreading arts based skills to local residents from Oak Beach to Daintree and beyond. As a result a number of students (or should I say 'graduates'?) are now confident enough to branch out on their own as practising artists or to pursue further certificate or degree based study. But such success doesn't just happen. Without the passion, dedication, skills and persistence of teaching artists such as Peter, Ellen, Joy, Nada and their colleagues, the reality of DAB and its regular classes and exhibitions would have remained just an idea. Support them! Enjoy yourself! Find a bargain! Billy Missi’s artwork is an expression of importance of time and commemoration of his cultural heritage, survival, kinships and everyday life. Billy explores the complexities of the people of the Torres Strait, and how they have survived for many, many generations in their tropical paradise. Billy’s accolades include the National Fremantle Print Award Acquisitive Prize (2006), and Highly Commended in the National Indigenous Art Awards (2000). 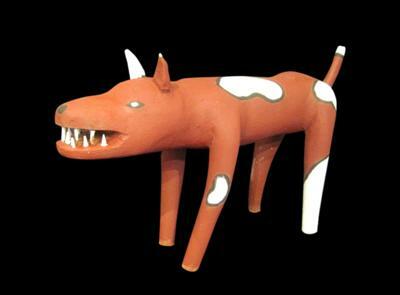 Billy’s work now sits in the collections of several prestigious international museums such as the Victoria and Albert Museum (U.K.), Cambridge Museum of Anthropology (U.K.) and University of British Colombia (Canada). Thonar Nu is exhibited as part of Cairns Indigenous Art Fair 2011 and Cairns Festival 2011. Thonar Nu is supported by the Visual Arts and Craft Strategy, an initiative of the Australian, State and Territory Governments. Effervescence, a multi media installation, showcases a projection of abstract close up images that reveal colour, texture, shape, and form. The images exist as a result of experimentation: this exhibition captures the unusual. 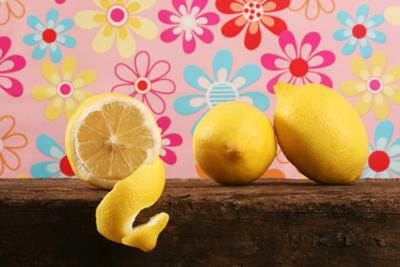 Rebecca Claire Edwards is an artist and freelance photographer. She holds a Bachelor of Photography from James Cook University, Townsville. 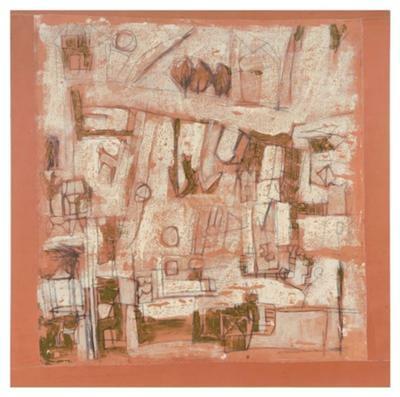 Her first solo exhibition was shown at C.1907 Contemporary Artspace in 2011. Edwards regularly exhibits her digital works in group exhibitions in the local region. 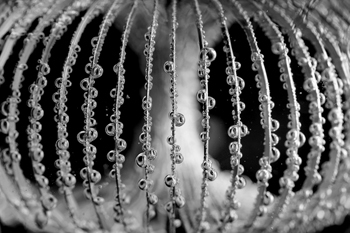 In addition to her photographic practice, she is currently a Co-Director of Cell Art Space. 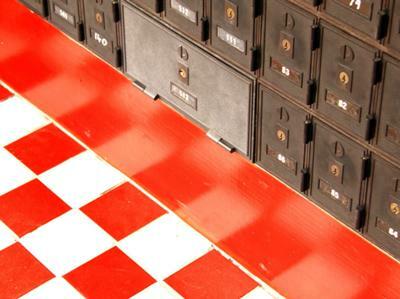 Cell Art Space provides a permanent window space for emerging artists’ exhibitions. Please join us at Cell Art Space, 109 Lake St at 5.30pm sharp to officially launch Effervescence. 6-8.30pm enjoy food and drinks at Twelve Bar Café, Cnr Lake & Shields St.
Effervescence is supported by the Visual Arts and Craft Strategy, an initiative of the Australian, State and Territory Governments. Spinifex Artists 2011 visitors will have an opportunity to see stunning new works from sixteen senior artists who live and work in the most far-flung corner of Western Australia. This Western Australian Indigenous art community known as Spinifex Artists hails from the Victoria Desert region north west of the Nullabor Plain. The disrupted history of their country includes the upheavals of the Maralinga nuclear testing programme that took place during the 1950s and 1960s. During that era the desert people were moved from their lands and resettled in missions towards the west. But these Pitjantjatjara people had deep roots into their traditional lands and were determined to return to them. That return came about in 2001 when the Spinifex People became one of the first Aboriginal groups in Western Australia to successfully gain Native Title rights to their lands. As part of the submission the artists painted intricate maps of their country to show cultural and social kinship ties to the great sites of the desert. These paintings were later bequeathed to the State as a collection held in the Western Australian Museum. In 1997 the Spinifex people established themselves at the tiny community of Tjuntjuntjara, just 200 kms from the Western Australia-South Australia border. The Spinifex Art Project that began as a cultural and legal response to the land claim subsequently took on the role of cultural maintenance for the Spinifex community with members continuing a close management and stewardship program of 55,000 square kms of their land. New bush roads have been created into otherwise inaccessible country, and regular maintenance trips led by custodians are made into outlying locations. Long-serving arts coordinators, Louise and Peter Twigg, say that - "the artists' paintings are often produced when they are visiting their ancestral country. Their intricately composed canvases detail the journeys and deeds of Ancestors who created the sites in their Spinifex homelands. Documenting these sites, their relationships and stories, provides the artists with a way to record, promote and pass on elements of culture that are crucial to sustaining the long-term future and health of their people". 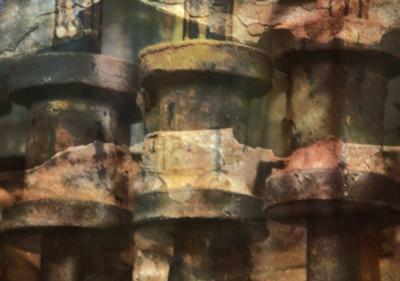 Many of these artists currently have works in the extensive exhibition Living Water: Contemporary Art of the Far Western Desert at the at National Gallery of Victoria's Ian Potter Centre in Federation Square. Japingka's Spinifex Artists 2011 provides an opportunity for those who won/t be able to get to Melbourne to view paintings by some of these artists. Like many of the original Western Desert artists, some are reaching a substantial age while others have recently passed on. With their passing we lose some of the truest expressions of traditional indigenous knowledge. This exhibition provides an invaluable opportunity to view and collect some of these irreplaceable artworks. 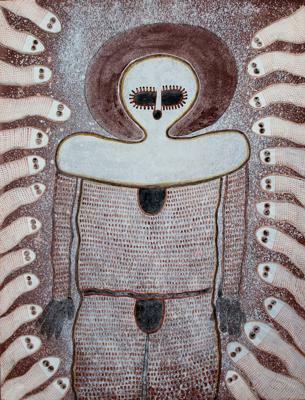 Paintings include combined works by the men's and women's groups that show the interconnected custodial ties of the traditional owners. 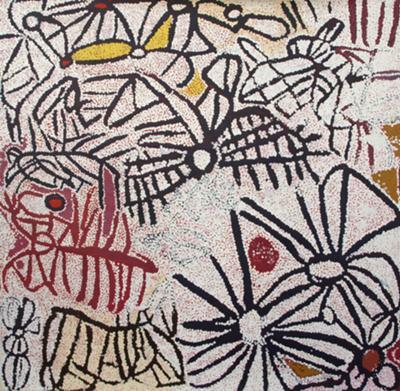 This Exhibition is held in association with the Spinifex Arts Project. In Gallery 2, Japingka is showing Mowanjum Artists - Paintings and Prints. 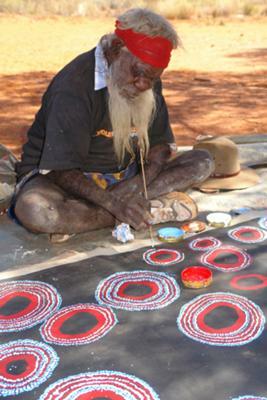 Mowanjum Artists comprise the Worrorra, Wunumbul and Ngarinyin people of the north-west Kimberley who are traditional owners and custodians of the Wandjina sites from this magnificent region. The paintings and prints in the exhibition represent the strong and continuing tradition of cultural practice that links these people with their land through the Creation stories, originally expressed in the great painted rock art 'gallery' sites of the Kimberley. This exhibition is presented in association with Mowanjum Art and Culture Centre. 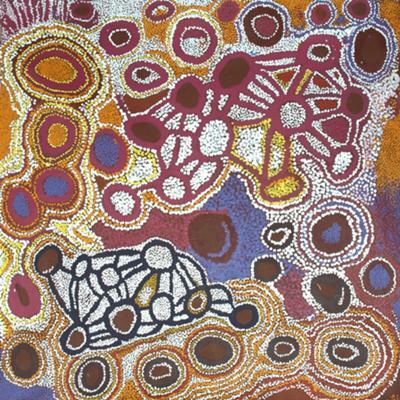 Spinifex Artists 2011 and Mowanjum Artists' Paintings and Prints will open on Sunday 23 October at 3 pm and run until 16 November at Japingka Gallery in Fremantle. Artists from both communities will attend the opening. Ian, what a fascinating story. Thanks for sharing it and good wishes for the exhibitions. The 2011 Cell Art Space Co-Directors: Rachel Shaw, Angel Vaughn and Jack Wilkie-Jans present an exhibition of artworks produced by the artists who volunteer behind the scenes at Cell Art Space. This is an exhibition of works by a vibrant group of art practitioners from diverse backgrounds with a passion and commitment to the furtherance of contemporary art and artists in the region. With their own distinct interpretation of the complexity and diversity of life in North Queensland, Shaw, Vaughn and Wilkie-Jans make sense of their unique surrounds. The creative line-up includes work featuring painting and digital media. Art Sense is supported by the Visual Arts and Craft Strategy, an initiative of the Australian, State and Territory Governments. From 6pm - 8.30pm meet the artist and enjoy food, drinks and live music by local blues musician 'Moondog Blues' at Twelve Bar Cafe, Cnr Lake & Shields St. This show is about a journey - the journey to 'Oz'. It follows the progression of Tracy's work since she was a student at the Ontario College of Art and Design in Toronto, Canada, until her arrival in Australia. In creating new works for this show, Tracy aspired to show Australia through the eyes of a newcomer, creating abstractions of her new home. Tracy has studied science, art, design and education in Canada, England and Italy. She has participated in many group exhibitions in these countries, and had her first Australian solo exhibition in 2009. A Move to Oz is supported by the Visual Arts and Craft Strategy, an initiative of the Australian, State and Territory Governments. With special guest artists Tomas Arroquero and Judith Henley. All profits from this concert will be proudly donated to the Kokoda Youth Challenge Program. Dancer Tomas Arroquero and soprano great Judith Henley, in conjunction with the DALeCAÑA FLAMENCO COMPANY collaborate to invoke the sounds and steps of Spain’s heart and soul, Andalucia, the birthplace of flamenco. DALeCAÑA (put your back into it!) is an explosion featuring guitarist Gerard Mapstone's unique take on the flamenco tradition, with dancers and musicians trained in Madrid, Jerez de la Frontera, taking audiences on a journey to the heart of Andalucía. Special guest artists Tomas Arroquero will delight audiences with his technical expertise and mastery of the flamenco dance, whilst audiences will be mesmerised by the ravishing voice of soprano great Judith Henley. Bringing the best of flamenco, with original choreography and compositions to Australian audiences, DALeCAÑA is inspired as much by traditional flamenco as by contemporary Spain and are sure to steal your hearts. They are not to be missed. The Endeavour Foundation Photography and Short Film Competition is open and invites photographers and filmmakers to capture the successes, challenges and aspirations of people with a disability. The free competition focuses on living with a disability and encourages artists to communicate their understanding and experiences of disability. Disability is an important social and community issue; the categories encourage artists to challenge stereotypes and perceptions and to capture the achievements and abilities of people with a disability. 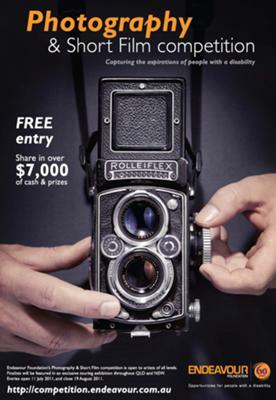 The Endeavour Foundation Photography and Short Film Competition offers more than $7,000 worth of cash and prizes including rare autographed copies Annie Leibovitz's At Work and A Photographers Life. Annie Leibovitz famously photographed John Lennon and Yoko Ono in a powerful portrait just hours before he was shot. During her career she photographed many celebrities. Finalists will be showcased in an exhibition that will travel throughout Queensland and Sydney. Tell the story of how people with a disability are perceived – and to show how with improved awareness the world could see people with a disability. Disability affects the person with the disability as well as their family, friends and carers who all experience it in unique ways. Often considered to be the most revealing of any art – telling observers an artist's innermost thoughts. Self expression for some people with a disability can be incredibly difficult - their disability can impede their ability to communicate resulting in frustration and social isolation. This category gives artists the chance to express their desires and aspirations, their dreams, obstacles they aim to overcome and challenges that block their way. 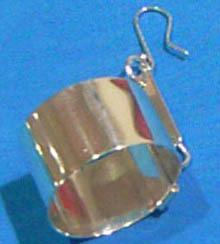 This category encourages artists to reveal their dreams while educating the viewer of the unique difficulties for people with a disability. Endeavour Foundation is one of Queensland’s oldest charities supporting more than 3,350 people with a disability to live an ordinary life throughout Queensland and Sydney including more than 550 people with a disability in North Queensland. The organisation has grown from humble beginnings in 1951 as a school for just ten children with an intellectual disability on a family veranda in Brisbane who the Department of Education deemed unable to be educated. Since our establishment Endeavour Foundation has become one of Australia’s largest non-governmental disability services providers, we create and provide opportunities including vocational training, employment, education, accommodation and lifestyle services for people with a disability. Our goal is to provide opportunities for people with a disability so they may participate in everyday life of the community. The Foundation contributes more than $300 million annually to Australia's economy. 3 of a Kind celebrates the work of past and upcoming Cell Art Space exhibitors and co-directors, curated by Rebecca Claire Edwards. This exhibition showcases works by a vibrant group of art practitioners working in contemporary art forms including photography, painting, ceramics, sculpture, felt and mixed media. An exhibition of new work by Cairns emerging artist Louisa Ennis-Thomas, in which she explores the complex relationship humans have with nature. 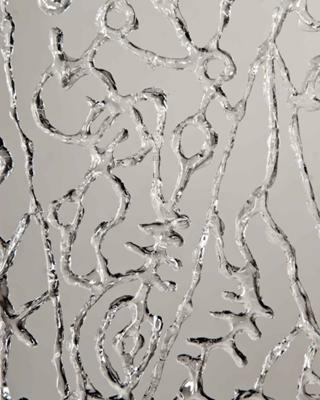 The artist's creative process leads her in pursuit of new textures, surfaces and challenging materials. Official opening Saturday 7 May 2pm. What is the media you use for these pieces? It may inspire me to investigate this as a new outlook for my inspiration. I have not made abstracts, but this may be the inspiration I need to push me there. This exhibition highlights the diversity of talent amongst women in the local region. 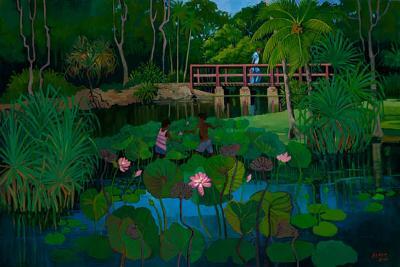 The show features both established and emerging women artists in the Cairns contemporary art scene. 19 artists have been invited to produce a work which highlights their individual approach to creating art. It is an opportunity to showcase their skills and to explore their medium of choice. 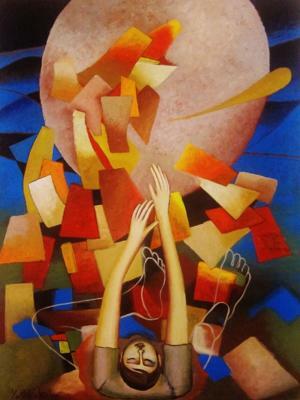 Traditional techniques such as painting, drawing and sculpture are on display with more contemporary mediums such as digital media, sculptural assemblage and works with innovative materials. Exhibition Dates: Tuesday 8th - Saturday 26th March, 2011. Entry to the exhibition is free. Many of the works are for sale. Calm & Colour after the storm. Cardwell Gallery is open and full of beautiful artwork and craft to brighten up our lives after the cyclone. We have been so fortunate, our little gallery has withstood the worst of the storm, right on the coast in Cardwell by the Sea. All the mud and salt have gone and the Historic School of Arts Building and community gallery is a bright and cheerful highlight in our recovering town. The sun is shining, the gallery is waiting to welcome you, full of local art and craft – the perfect gifts to cheer you or a friend after all the difficulties of the last months. We think it is the perfect time for you to take a break, spoil yourself,replace some of your lost treasures, slow down and relax for a while. opening hours – 10am-2pm Tue, Thurs, Fri, Sat. 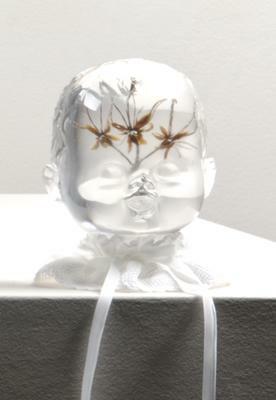 The Art Room at Vivo and exhibiting artist Rebecca Claire Edwards request the pleasure of your company at the official opening of The Imagery of Perfume, Friday 6 May 2011 5:30 – 7:30pm. The Imagery of Perfume is a collection of new contemporary photographic works by Rebecca Claire Edwards. 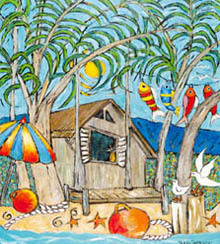 The Art Room at Vivo, 49 Williams Esplanade Palm Cove is open daily from 7am. 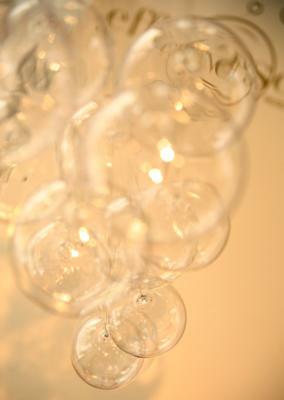 The Imagery of Perfume is on show from 1 May – 13 June 2011. Smouldering passion, rhythm and intensity, flamenco is the heart and soul of Spain, and it's coming to Brisbane. Gerard Mapstone has carved a reputation on the world stage through his unique style of blending flamenco with Romanian, Indian, and Cuban music. He has worked alongside the best in World Music by supporting La Orquesta de Buena Vista Social Club, Tomatito, Estrella Morente, Fanfare Ciocarlia and The Gypsy Queens and Kings. This season will unravel the best of his original works inspired by this Company's desire to create. Flamenco dancer and choreographer Sylvia Arroyo will delight audiences with her flawless expertise and mastery of the flamenco dance, whilst audiences will be mesmerised by the special guests DALeCAÑA have up their sleeve. DALeCAÑA is renowned for their original choreography and compositions, inspired as much by traditional flamenco as by contemporary Spain. Their performance of music and dance Arte Jondo (Deep Art) will move and excite you. Led by one of Australia's finest classical and flamenco guitarists, Gerard Mapstone with the DALeCAÑA Flamenco Company, this concert is not to be missed! wish I can be there and watch the dance. However, congratulation for Gerard Mapstone and the DALeCANA. The 2011 Cell Art Space Co-Directors: Regan O’Neill, Rachel Shaw, Angel Vaughn and Jack Wilkie-Jans present an exhibition of artworks produced by the artists who volunteer behind the scenes at Cell Art Space. With their own distinct interpretation of the complexity and diversity of life in North Queensland, O’Neill, Shaw, Vaughn and Wilkie-Jans make sense of their unique surrounds. The creative line up includes work featuring painting and digital media. Lynnette and Diann have spent the last couple of decades putting their energy into the development of art practice in the Torres Strait - particularly on Erub (also known as Darnley Island). Erub is one of the most remote communities in Australia, located 260km north east of Queensland's Cape York Peninsula. This beautiful volcanic island situated in the turquoise waters of the Torres Strait, is home to approximately 400 Meriam Mer people. The artists are both passionate about the area and their environment. Diann and Lynette are also actively engaged in Erub Erwer Meta (Our Learning House at Erub), the first incorporated art centre in the Torres Strait. Erub Erwer Meta provides training, skills development, career support and enterprise opportunities within the Erub community - generating opportunities for inter-generational and lifelong learning; at the same time strengthening and passing on Erubian culture in the stories accompanying the work. 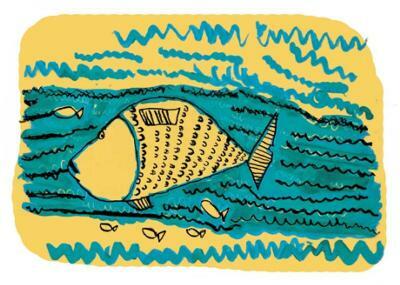 Aquarium as Still Life is influenced by their close association with the sea and reef of the Torres Strait. Lynnette and Diann create a natural fantasy environment using woodfired clay from Australia?s most northerly kiln in Erub. This installation subtracts the tropical 'colour' as it seeks to closely examine the quality of design, shape and structure through modular forms and historical considerations of the aquarium. Philip Henry Gosse was the first person to actually use the word 'aquarium', opting for this term (replacing 'vivarium') in his 1854 book The Aquarium. Melissa and Rebecca Edwards Co-Directors of Cell Art Space present the first night of the not to be missed T3 program! 6:15 - 6:45pm at C.1907 Contemporary Artspace Lou Davidson, Rebecca Claire Edwards, Tracy-Ann Rees Mortimer, Glen O’Malley and Carly Whouley, exhibiting artists hold an interactive panel session discussing photography in their pop up exhibition; Cairns Contemporary Photographers. 7 - 7:30pm at Twelve Bar Café adventure to horror to folk is what you are likely to hear from emerging indie horror band Archdale; Dean Whitby - Guitar/Vocals, Ella Edwards - Organ/Piano/Vocals, Jack Riddle - Guitar/Bass, Aiden King – Drums. 7 - 8:30pm at Twelve Bar Café the crew serve up tapas. Carly Whouley was born and bred in Cairns, and obtained a Bachelor of Film and Television Production from Griffith University’s Queensland College of Art in 2002. Please join us at Cell Art Space, 109 Lake St at 5.30pm sharp to officially launch The Underscore. From 6pm - 8.30pm meet the artist and enjoy food and drinks at Twelve Bar Café, Cnr Lake & Shields St. The Underscore is celebrating the 100th Anniversary of International Women’s Day, the major day of global recognition for the economic, political and social achievements of women. The Underscore is supported by the Visual Arts and Craft Strategy, an initiative of the Australian, State and Territory Governments.